Are you thinking of paying for a SHOUTcast host to make your broadcasting endeavor a lot more convenient and reliable? Surely, you’re not thinking of getting the cheapest offer – are you? It is very important to consider the things that separate the subpar from the superb. That is what we will go over in this article! Streaming is synonymous with data usage and simultaneous connections. That’s why hosting-service companies usually categorize their packages according to bandwidth allocation. If you’re not that familiar with these terms or concepts yet, just think of it like this. The more bandwidth you have on your plan, the more listeners you’ll be able to accommodate at any given time. Bandwidth allocation may also define how long your station stays online. There’s another thing that this particular aspect of hosting affects – quality. Given that top-quality music (typically those in lossless formats at high bitrates) use a lot of bandwidth, your chosen plan’s data limits may force you to go for lower-quality options. While it’s not bad at all to play tracks that sound like they’re actually being transmitted through radio, your listeners might prefer something that sounds flawless. The most remarkable SHOUTcast host should be able to offer you a wide range of packages, from those inexpensive, low-bandwidth options to the ones that can handle tons of data, albeit for a premium. If you’re serious about having your own radio station online, you need to consider the possibility of expanding your pursuit. Well, top notch hosting solutions generally come with options that allow for easy upgrades. These let you increase your bandwidth allocation or maximum number of connections without much hassle. In most cases, getting in touch with the customer support staff should be all you need to do. 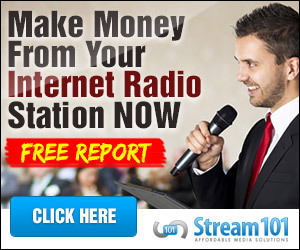 Let’s say that you consistently get thousands of listeners. Most of them stay connected around the clock. What should you do to keep up with the demand? A company that claims to be the finest SHOUTcast host must be able to offer one straightforward solution – dedicated hosting. Dedicated hosting may cost a lot, but you are practically guaranteed of having a most of the server’s total capacity allocated to just your radio station. Many companies offer this, but do not publish it – such as us. Just ask about it and see if they do! There’s one last thing that defines greatness in the world of hosting – an excellent uptime rating. While this might seem like a complicated word, it’s actually quite simple. The higher a host’s uptime rating, the more reliable it is. Don’t believe in claims about certain media-streaming servers having perfect uptimes though – everything fails eventually. What’s important is that the length of time between failures makes the overall risk somewhat negligible. All in all, if you’re searching for the right SHOUTcast host, you must keep these things in mind. By taking these factors into account, you’ll know what to look for in choosing a host. You’ll know that you want to be working with us, Stream101!